LEGO has a promotion going on. Right now if you spend $75 or more you qualify for the Marvel Super Heroes (5005256) Minifigure 4 Pack. This is a great way to buy some LEGO sets you want and flip the freebie that pays for the LEGO’s you want. LEGO has a special today while supplies last. 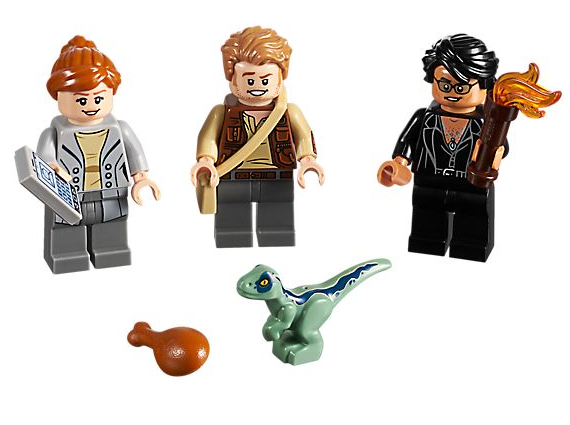 Any purchases over $99 qualify you for the Bricktober Jurassic World™ Minifigure set. Amazon has an awesome pre-order going on right now for the new LEGO Movie 2 book Emmet’s Guide to Being Awesome-r that includes a exclusive Emmet minifigure . This could be potential flip worthy for minifigure collectors who don’t necessarily want the book but just want the minifigure. 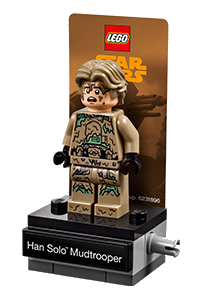 This is a reminder that today is the last day to qualify for the Han Solo Mudtrooper Minifigure with display. For you not aware, you get this minifigure free for any Star Wars purchases over $35. Recent sales of this figure are going from $7 to $15 range. LEGO Events for October includes a really cool offer for you mini-figure collectors out there, particularly you Star Wars Minifigure collectors. This is also a potential flip opportunity.